just send byChina air mail,need about 15-25 business days arrive. if you need the goods urgently, please choose shipping method DHL or EMS and pay extra shipping(5-9 days to arrive you ). 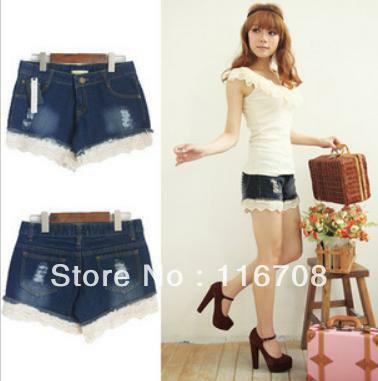 T-879-021 spring and summer 2012 fashion women's wave laciness slim hip shorts female trousers ,Free shipping.